Razer kicked off the year with an impressive showing at CES 2017 when they demonstrated several cool concepts including the triple 4K display gaming laptop dubbed Project Valerie (that was, unfortunately, stolen). 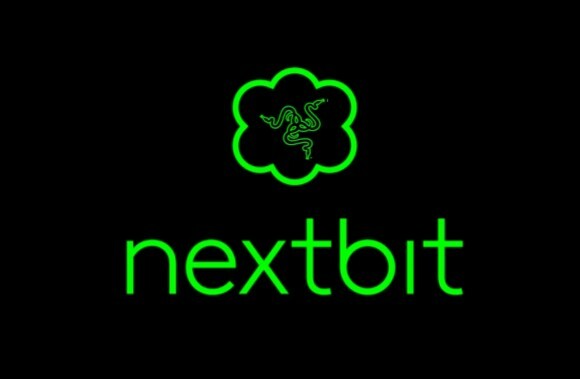 Now, the company looks to be breaking new ground and expanding their reach into the mobile space following Razer’s acquisition of Nextbit — the company famous for their “unlimited” storage smartphone. The Nextbit Robin was one of the more interesting smartphones to come out in recent times. It wasn’t because the handset had revolutionary hardware design like a bezel-less screen, nor did it have a whole bunch of curved edges and displays. It was, in fact, decidedly square. What made the Robin special, was its ability to utilise the cloud to store apps and photos, keeping only your most recent applications on your device to free up space. This, combined with the endless storage possibilities of the cloud meant that the smartphone could technically have near infinite storage — which is great. Although in practice, there were one or two issues that made this system a little impractical, like how long it takes to download large apps from the cloud, there’s no denying how cool the concept was. Razer’s co-founder and CEO Tan Min-Liang clearly saw something in them because he called Nextbit one of the most exciting companies in the mobile space. Min-Liang also said that he looks forward to “unleashing more disruption” and growing their business in new areas. Since they’ve been bought over, does this spell the end of yet another kickstarter company? Well, according to Razer, that’s not going to happen — at least not yet. Unlike Fitbit’s acquisition of startup darling Pebble, Razer stated that Nextbit will operate as a standalone business unit under its own management apart from the ongoing business of its parent company. Nextbit will also continue with product support and software updates for the Robin too, which is great news for Robin owners. Nextbit CEO Tom Moss said in a statement that with Nextbit going under Razer’s wing, the company will continue what they’ve been doing all along, only bigger and better. Nextbit has halted sales of the Robin and its accessories through official channels, however. Of course, as it stands now, we’re not sure what Razer’s plans are with this acquisition. Can we look forward to a Razer-branded smartphone in the future? Or will Nextbit release a new Robin Chroma?